On Tuesday 19th March, again taking a day's A/L from work, I drove down to Walberswick car park, it wasn't immediately apparent that the Ibis was about so I drove to Walberswick Harbour car park. Meeting David B he said the Ibis was in the Walberwick North field. Scanning across the Glossy Ibis was still present in the Walberswick North field. It fed around half way out along the left hand side. Seen at 12.30pm plus a large female Peregrine flying away from us, a Curlew also seen over the far side. From Blythburgh bridge, a Chiff-Chaff heard and then seen singing in the tree in blossom in the corner of the garden, I counted a big tally of 423 Redshank, 8 Black- tailed Godwit, 8 Avocet, 7 Dabchick, 1 adult summer plumaged Mediterranean Gull seen out on the estuary. A Sparrowhawk was seen circling over the woods north of Blythburgh at 12.50pm. 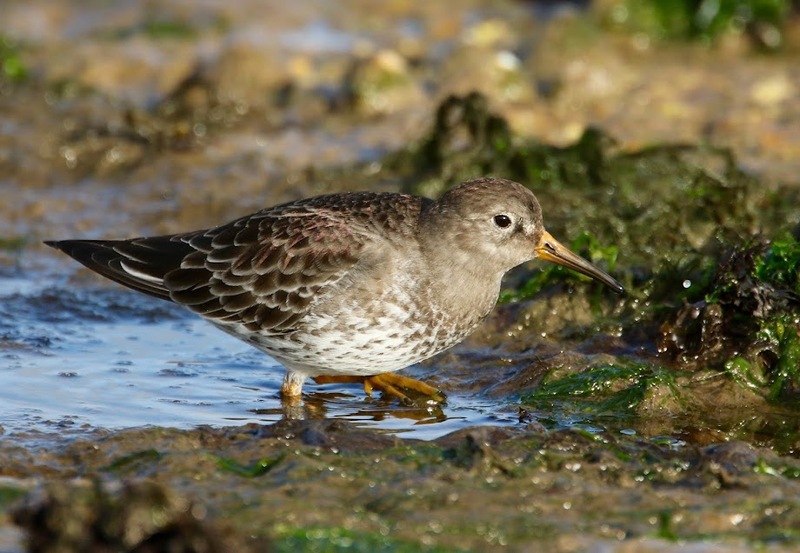 Highest tally of Purple Sandpipers for 21 years!